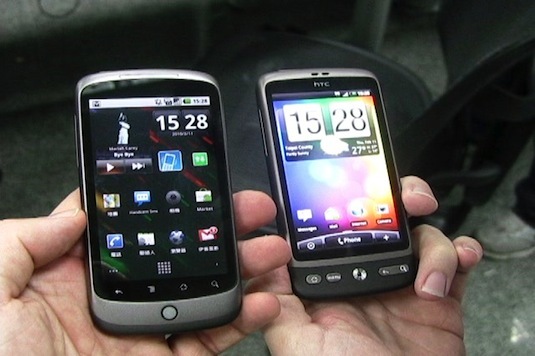 HTC has just confirmed that they are making the move from AMOLED screens on the HTC Desire and Nexus One to a new type of screen technology called Super LCD which is made by Sony. Samsung, the makers of the AMOLED screens, have been having difficulty manufacturing the screens, so HTC are dropping AMOLED because of the shortages. HTC’s CEO Peter Chou has explained that the experience on the SLCD screens is “comparable” to AMOLED screens, yet offers better battery life.